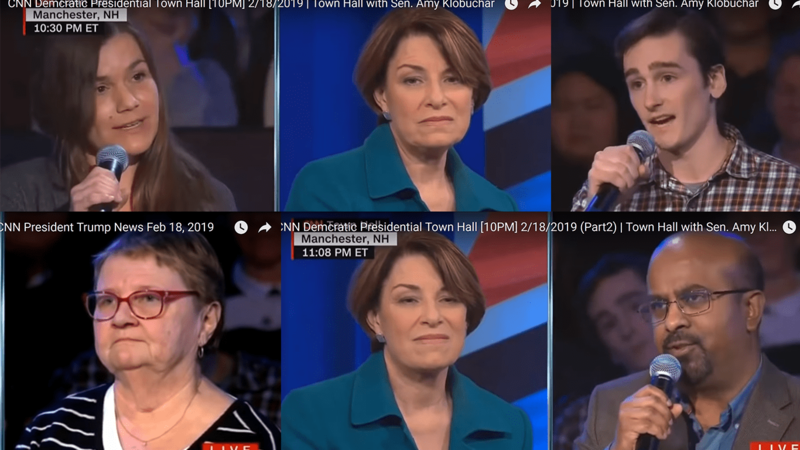 At a CNN town hall on Monday night, four members of Rights & Democracy pushed presidential candidate Sen. Amy Klobuchar on issues that matter to all of us. After several minutes of skirting the question, Klobuchar stated that Medicare for All is “something we can look to for the future” but she believes more gradual approaches are necessary right now. Later, Rights & Democracy board member Griffin Sinclair-Wingate, also a leader in New Hampshire Youth Movement, pushed the senator from Minnesota on the student debt crisis. He reminding Klobuchar that New Hampshire students graduate with the highest average student loan debt of any state in the country. But, Klobuchar demurred. Policies like free college, Medicare for All, and the Green New Deal were too aspirational for her. But the grilling wasn’t over. Rights & Democracy members Jodi Newell and Mohammad Saleh of Keene also had questions for Klobuchar. Newell shared her personal story of losing her partner to overdose and asked what the candidate intends to do as president to confront the opioid crisis. By the end of the evening it was clear that Senator Klobuchar was holding firmly to centrist policy positions. But it was also evident, from CNN’s decision to take questions from four Rights & Democracy members, that our #PeoplesPriorities will be defining the narrative during the 2020 election season. It’s our hope that we can help candidates like Klobuchar realize that their moderate stances on critical issues are not what the people of New Hampshire want. 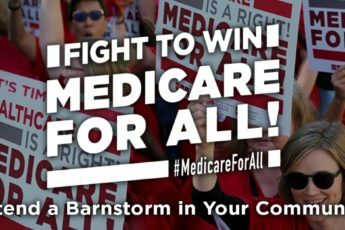 Please sign on to our People’s Platform to join us in this important work in the months ahead!